I’m staying for the next two nights at Hillend campsite, at the far western tip of the Gower, so I leave Parisa‘s after breakfast and drive down. On the radio there is a news item about a survey that found that 50% of primary schools said poor internet access was hindering IT education. I’m sure this will be a problem in many rural and remote areas across the UK, but in Wales a particular problem as a larger proportion of the population are at the edges. After setting up at Hillend, and then a taxi to Llanrhidian (with Mike’s Taxis, a Gower-based firm), it is nearly 12:30 by the time I set out. 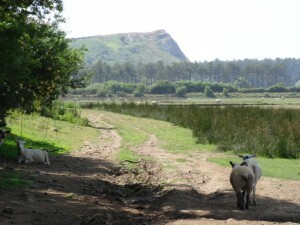 The next day there is due to be a fˆte or show with a salt marsh lamb, donated by a local butcher, as one of the prizes. I’d seen a sign for salt marsh lamb the other day; clearly the locals here appreciate the special flavour. 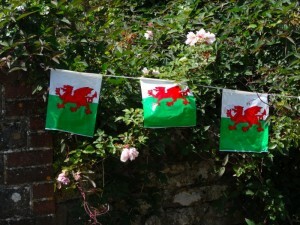 There was bright coloured bunting round the village in preparation. The way leads down out of Llanrhidian, first along roads, then a smaller track and then a variety of wooded and field crossings. As I’ve found in this area, the signage is reasonably good, but you do need to keep your eyes peeled. In a wooded lane, there was a branch to the right, so I went straight on, though uncertain as it was immediately after a gate with no sign on it, but when I got to the end it was the right way. Similarly, crossing a field, there were a few gates; one looked most in the direction of the arrow (not a solid indicator), but it had no marker, however I went closer and could see a post 30 yards or so further along the way beyond the gate. In one of the fields a stile stands in the middle, long grass where the mower has to go round it, a reminder of a past field edge, fence or hedge. 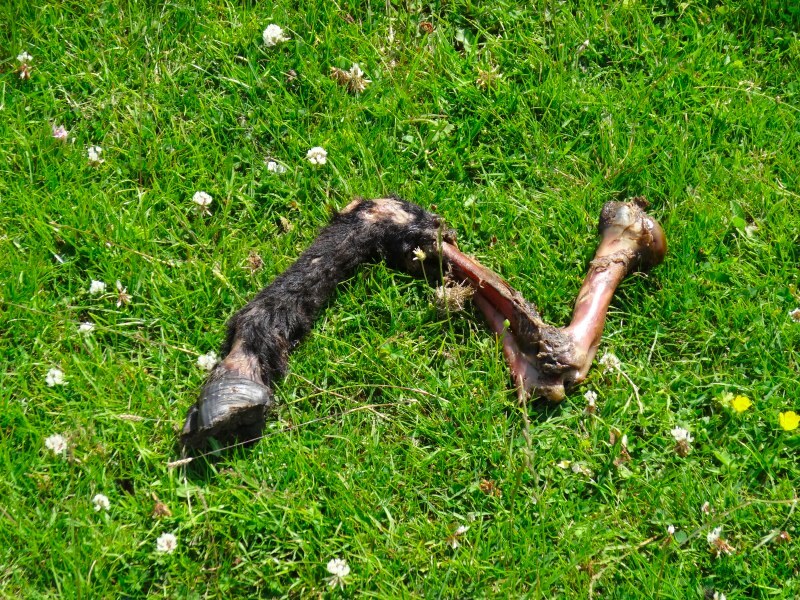 In another the stripped leg of what looks like a calf lies, a reminder that life too can be short. Every so often I catch a glimpse of Weobley Castle in the distance, but never get close. On a wooded section just beyond Landimore village, I meet Paul and Liz. They are walking around the Welsh Coast, and, depending on when they get to the north, Offa’s Dyke as well, either this year or next. They have large packs with full camping gear, and I feel I’m having it easy with my tiny day-pack, especially when they describe the cliff sections near Port Eynon, where Liz‘s thirty-four pound pack will significantly lift her centre of gravity. They live in Abergavenny, so the last stretch down Offa’s Dyke will feel like ‘going home’ for them, a bit like this last stretch through Gower, Porthcawl, Barry and Penarth seems like ‘going home’ for me, not just because they are on the way to Cardiff, but because they are the stamping grounds of my youth. I am still in the unknown territory of North Gower, but once I turn the end, later today, I will be stepping back into my past. Very like my own experience, when Liz heard about the Wales Coast Path opening last year, she thought, "we should do that", and, I gather, Paul does occasionally remind her that it was her idea! 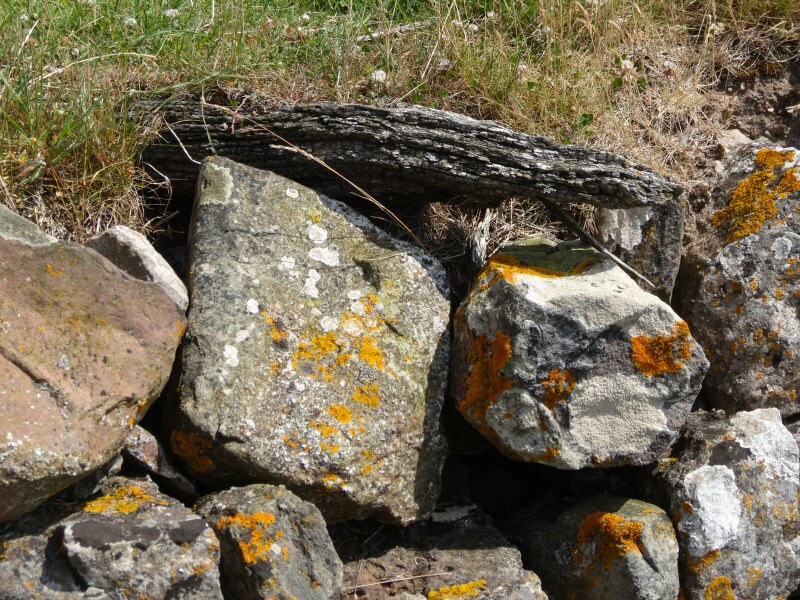 They are clearly experienced walkers and Paul has done the Hadrian’s Wall path in the past. Indeed, a few years ago they had booked two weeks’ holiday to walk Offa’s Dyke, but had then moved house, so spent the two weeks packing. Now, they are making up for that missed walk and more so. I assume that they have now taken early retirement, as Paul says, "we can do other things like cruises later", but this was something to do when they were both in full fitness. They have not long come through Llanmadoc. They warn me not to take the middle footpath, as they did, as it led through a tiny overgrown lane, which was full of bullocks, which meant that the floor was muddy with dung, but also that they had to negotiate past a small herd of bullocks in a nine-foot wide lane. Squeezing past skittish bullocks was not fun. After a while the path rejoins the edge of the salt marsh past a cottage called ‘The Saltings‘, suggesting there were salt pans here in the past, and then along a gravelled path, with, like the day before, signs every so often warning you that this was once a firing range and that handling any military fragments could kill you. Eventually the path makes a small loop where a stream joins the marsh, and at the far side a wooded hill rises. Between wood and marsh the path leads in two directions, one is marked ‘coast path’, the other ‘alternative high tide route’, which leads up through Llanmadoc " but not along the dreaded bullock lane. At the top of this I would have turned left towards the pub marked on the map, and then retraced my steps to go round the low tide route (incidentally the only route marked on the map from here, the high tide route must be new). 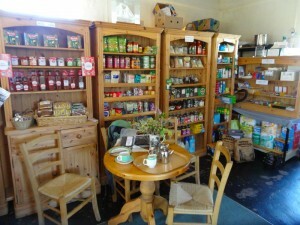 However, Paul and Liz had told me about a community shop in Llanmadoc. It was something not to be missed, they said, with teas and homemade cakes. I was after something a little more substantial than cakes, but I had a sandwich and sausage roll in my rucksack as backup, and definitely wanted to see this, both as an interesting community development in its own right, but also because Fiona had just joined the feasibility committee for a community shop on Tiree. As I got to the centre of the village a sign with an arrow said ‘Old Shop, still open for range of famous cakes’. I did not understand the significance of this at first, thinking it meant that the ‘old shop’ had been going to close and was now a community one. 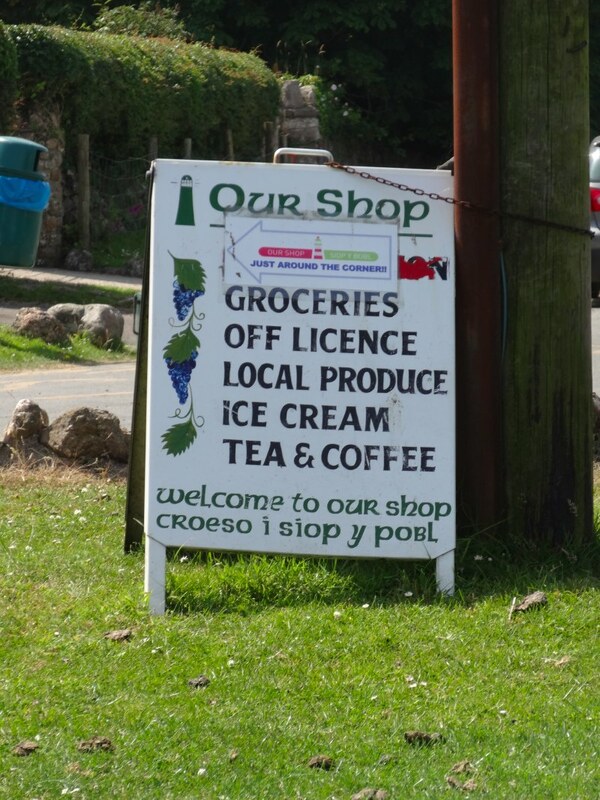 Another sign read ‘Our Shop, just around the corner’, ‘welcome to our shop’, and ‘croeso i’r shop yr pobl’; the latter I think literally, ‘welcome to the shop of the people’. Llanmadoc Community Shop, or ‘Our Shop’, was everything Paul and Liz had said, a charming shop, with volunteers serving, tables outside in the sun for those who wanted, and also, thankfully, inside in the shade on this baking day. The shop had been running for eight years in a barn that was once a garage, at the back of the house of one of the original founders, but is about to move into purpose-built premises, hence the ‘old shop’, meaning this, as opposed to the ‘new shop’; both were the community shop. It is café, grocery store and post office, although the post office part has already moved to the new premises. The lady I spoke to was a little wistful about the move as the place they are now has character and, I am sure, many memories. They have a volunteer pool of around forty, and I recall Richard at Brandy House Farm, where I stayed in the MorphPOD, telling me that he thought thirty was the minimum for the community pub they were planning. However, there is a smaller group of four who are the main bakers of cakes. I had evidently just missed one of the trustees who might have been able to tell me more about the issues around the establishment and running of the shop, but clearly it is a resource for both visitors (others came while I was there), and, most important, locals, who popped in for a ‘quick cup of tea’ and then stayed all afternoon. On the notice board in the shop there is an announcement of a meeting about the proposed undersea coal gasification project under the Loughor Estuary between Llanelli and Gower. I’d not come across this process before, although it was something that I recall wondering about as a child, especially when pits were being closed because of difficulties in mining. Basically you crack open a coal seam, a bit like fracking, and then set fire to it, managing a steam-based partial burn that produces what used to be called ‘coal gas’ or ‘town gas’, a mix between carbon monoxide and hydrogen. In the UK all gas used to be made this way; not underground but in plants that took mined coal and heated it under controlled circumstances. When natural gas (methane) became cheaply available from the North Sea, there was an extensive programme switching the country to use the new gas. This involved modifying every gas appliance, as natural gas burnt at different pressures and temperatures to coal gas. I recall the conversion team coming to our house and upgrading the gas cooker burners. It was one of those enamelled cookers standing on legs, with a plate drying rack above the hob. Now you only see them in museums. They also converted our old gas fridge, but it never coped well with the new gas, the flame kept going out and I’d need to reach behind to a tiny hole to relight it. Eventually, after a few years, we replaced it with an electric fridge. Gas fridges used to be virtually silent, unlike the intermittent whirr of the compressor of an electric fridge, and gas fridges had no moving parts, so lasted virtually forever. I also always found it fascinating that you could cool something with a flame! Strangely they have all but disappeared. Our campervan fridge can operate on gas, but that is bottled gas propane or butane, maybe there is something about the burn qualities of natural gas that is unsuitable. Anyway, back from fridges to fracking or at least underground gasification. 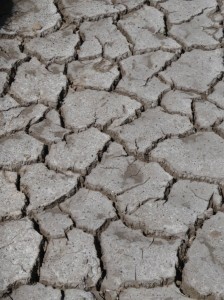 There are concerns both about the industrial plant that needs to be built on the surface, but also about problems underground if the burn is not properly controlled, if by-products such as phenol leach into the ground water, or if the sea floor collapses as the coal is replaced in situ by ash. Later I found a report of the meeting in the Llanelli local papers. Virtually all previous attempts at underground gasification have failed due to environmental failures, and only one plant in Uzbekistan operated for any length of time. 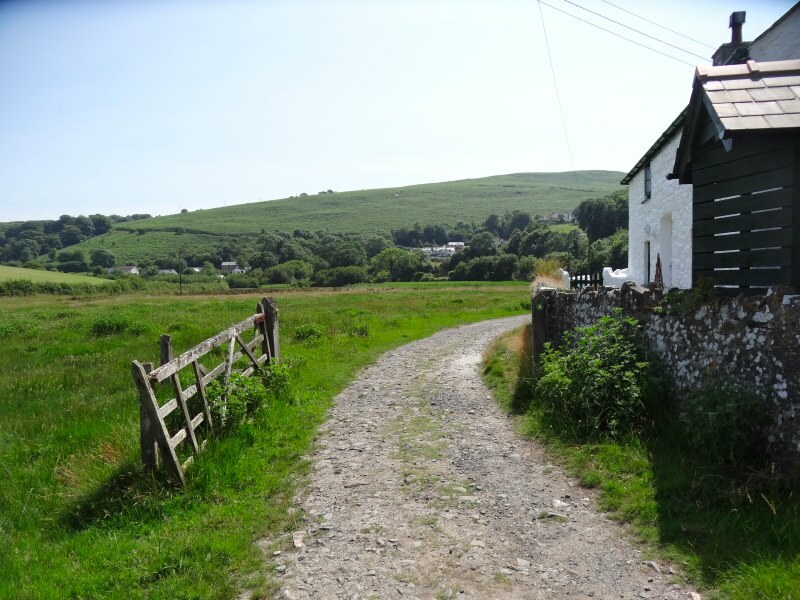 Not surprisingly local people are worried about the impact on an area of outstanding natural beauty, where even minor modifications to their own houses are subject to intense planning scrutiny, and yet permission has been given to test drill in the estuary. The company doing the drilling is called ‘Clean Coal Ltd‘, although the process is anything but clean, and appears to have a worse carbon footprint than conventional coal burning. This PR-naming reminds me of the company proposing the vast windmill array near Tiree, ‘Scottish Power Renewables‘, which is, in fact, Spanish ;-). I would have liked to stay longer at ‘Our Shop’ both to soak up the atmosphere, but also to stay in the shade, although by this stage it was four o’clock so the hottest part of the day had passed. I hope to revisit as part of my reprise travels next year, and by then it will be in the new premises. I was directed the best way out of the village towards the Coast Path and set off on my way to go round the end of Whiteford Burrows. The way leads out of the village and past some sort of ranger station with a large truck and digger outside. The vehicles are painted dark green, I assume to blend into the green of the forest and not be conspicuous, but given the warning signs everywhere about unexploded ordnance, it has a vaguely military feeling. As I approach the long path behind the sandy headland I spot two runners, or to be precise one day-glo runner, approaching from the right, along what I guess would have been the low tide route that I would have taken if I’d not detoured through Llanmadoc. We arrived at the junction of the paths at almost exactly the same moment. They are Gerald and Julia. We talk a bit about the walk, and when he says about fitness I describe the way the first few weeks I seemed to get fitter and fitter, but then about halfway round seemed to hit both physical and mental limits. "Ah, ‘the wall’," he says, "with her," pointing to Julia, "it is 18 miles". I realise these are serious runners. Julia has run a marathon for a breast cancer charity, and they have also done the 50-mile, overnight, endurance walk in Shropshire. So many times during the walk I have thought "never again", but this long single walk does attract me as I’ve now run further than I ever did as an eighteen-year-old, can lift heavier weights than as an eighteen-year-old, and have certainly walked further … but I did once walk a thirty-four-mile circuit from Cardiff when I was 17 … oh, how sad, a definite sign of ageing when you are competing with your younger self. 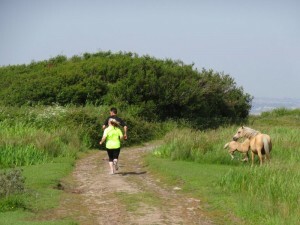 Gerald and Julia set off running again and the wild ponies look on, vaguely interested but not alarmed; they have seen it all before. More ponies and sheep roam the woodland and sand dunes of Whiteford Burrows and the path is easy along the mile and half to its end. Somewhere to my left, in the heart of the burrows, are shell mounds. 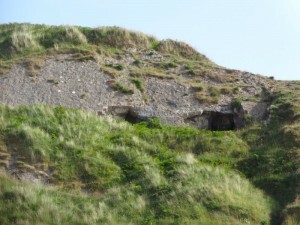 These are the places where the early post-glacial Neolithic settlers would discard cockle and other seafood shells, building large waste piles. 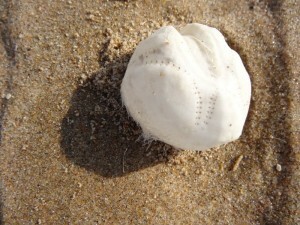 Over the years these get covered in sand and are often only are found when rabbit burrows cast shells out. I learnt about these in Steven Mithin‘s ‘To The Islands‘, where he talks about his excavations in various Scottish islands. To Dr John‘s great sadness the lack of rabbits on Tiree make it a poor site to search for shell mounds. It would be lovely to see one of these, but finding a sand-covered pile of shells amongst a square mile of sand dunes sounds as if it would need an expert guide. I notice on the map that the end of the long spit of Whiteford Burrows is also called ‘Berges Island‘, with the area towards the middle being ‘Great Plain‘. I wonder if there were times when the area in the middle was under water at high tide. As I approach the end, the salt marsh to the right gives way to open sand and a Landrover drives past at some speed. As I go down to the sand to walk I keep near the tyre tracks on the principle that (1) the driver probably knew where the firm sand is and (2) if not it will sink before I do. Beyond the end of the spit is a flat rocky area spreading out to sea, at the end of which is a disused lighthouse. 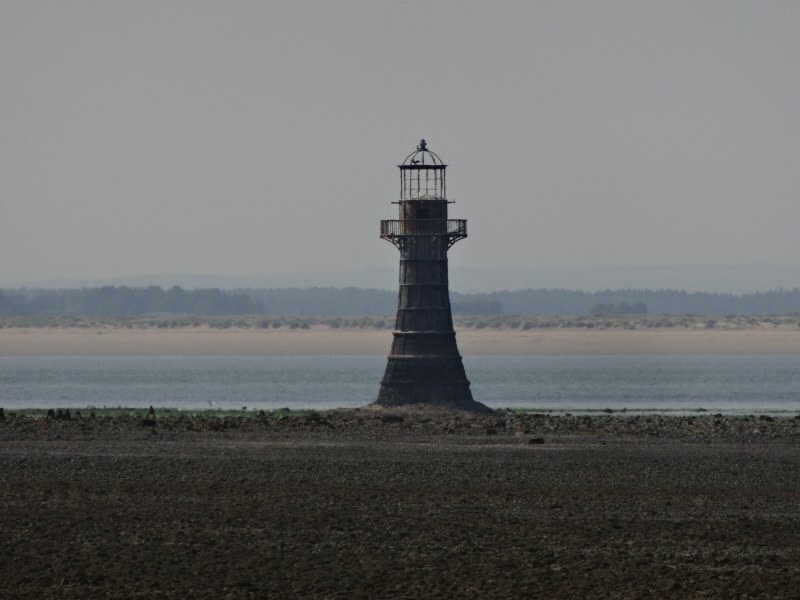 As well as protecting from these shoals, it also marks the south-eastern side of the channel between the mud banks either side of the channel towards Burry Port and (the now disused) Llanelli Docks. 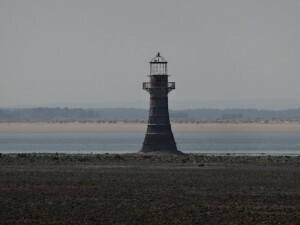 The lighthouse is a quarter of a mile out towards the sea and it wasn’t clear whether it was reachable, nor whether it was advisable to walk across the tidal rocks. A few days later Yvonne told me about the lighthouse, which is evidently impressive up close, being entirely constructed of cast iron; an unusual, maybe unique, example of Victorian engineering, still standing despite the exposed position and lack of maintenance. Turning my back to the lighthouse, there is ahead three miles of uninterrupted sand, the entire length of Whiteford Burrows and Broughton Bay beyond. At low tide you need to take a path at the end of the Burrows up the steep cliffs, and past, according to the OS map, ‘bone caves’. 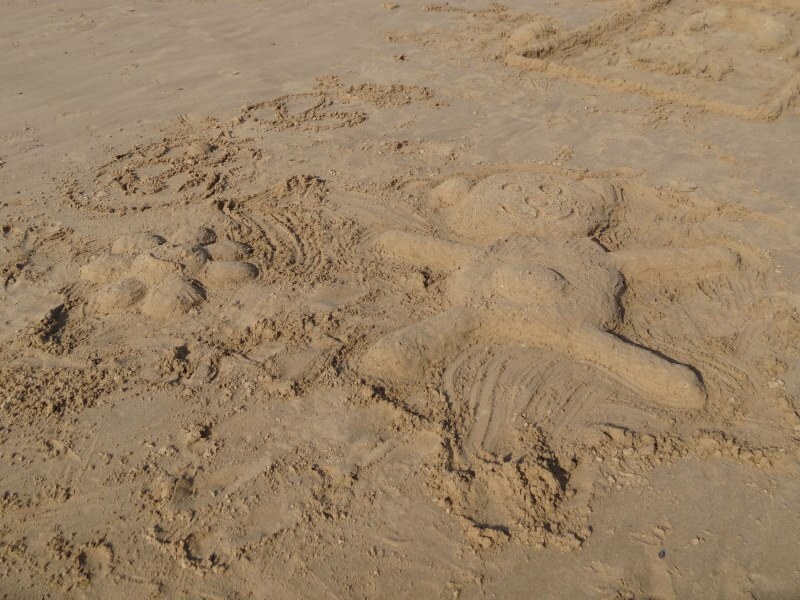 However, the joy of beach walking trumped the potential for seeing the empty sites of archaeological remains. And also, I was a man with a mission, with my own cave to find. 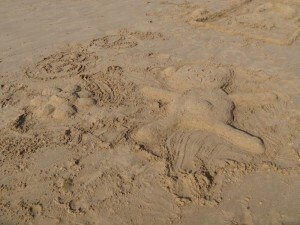 When I was about four or five years old, we went on holiday to Gower. The couple who lived next door were clearly somewhat upwardly mobile, owning both a telephone (in the house, not in a red box outside) and a caravan in the Gower. That year we went and stayed in their caravan. This was the only time we stayed there. As we did half-board for students and theatre back-stage folk at home, Mum relished not having to cook while on holiday, so staying in a caravan was not quite the holiday for her that it was for us. Jacqui also remembers that it rained most of the time, but I have blotted that out except that I do recall being read to, fairy stories (I think Jacqui‘s book) and also a cautionary tale. The latter was about a boy who had tomato ketchup on everything, until one day he insisted on having it on his ice cream, despite the protestations of his parents; of course it was horrible and so he learnt (a) ketchup is good in its place and (b) to take notice of his parents. I don’t know whether I learnt the lessons, but I certainly recall the story! 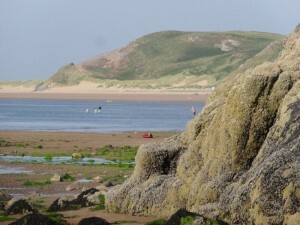 It was only one holiday on the Gower when I was very small, and I did not visit again until I was at Scout camp at eleven; however, I think this was critical for my seaside ideal of dune and cliff. In particular we found a cave. On the first day Jacqui and I were clambering over rocks with Mum and Dad walking on the sand to our right. We were at around their head height (or it felt like it), and then came across an opening in the rocks. It was a long slit, wide enough to go through, or at least for a child to get through, but too far down to drop into without getting stuck. 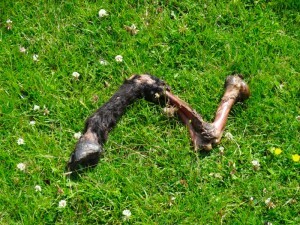 I can’t recall, but I would guess Mum may have been concerned when we said what we had found. About halfway along the fissure was a rock bridge that would have been perfect to tie a rope round to let oneself down. It was a perfect Famous Five setting, although this was years before I read the Famous Five stories. For years afterwards I dreamt of returning with rope to explore. I had no rope with me, but I realised that either (a) the fissure would be too small for an adult anyway, but (b) if not the drop would be one I could manage now. From OS maps and Google maps I had long ago decided that the caravan site we were at was the one at the south end of Broughton Bay with the rocks we explored at the base of the clifftop of Broughton Burrows. 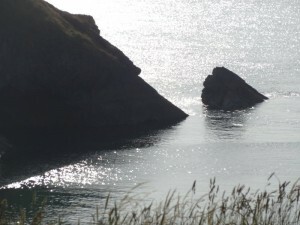 As I got closer to Broughton Bay I began to see the first people for several hours, bathing, making sand castles, or simply lying in the sun, but I was not interested in the people, just the approaching cliffs at the end of the Bay. The rocks here are limestone, rising steeply in places above the sands, with several sea-cut caves at beach level. Higher up would be the elusive bone caves. At the far end I walked as far as the water would let me, but the tide was very low, so certainly further than we would have walked that first evening when I was five. Then I made my way back slowly along the shoreline, where possible clambering up the rocks and searching for the long-lost cave. I found one fissure very early. 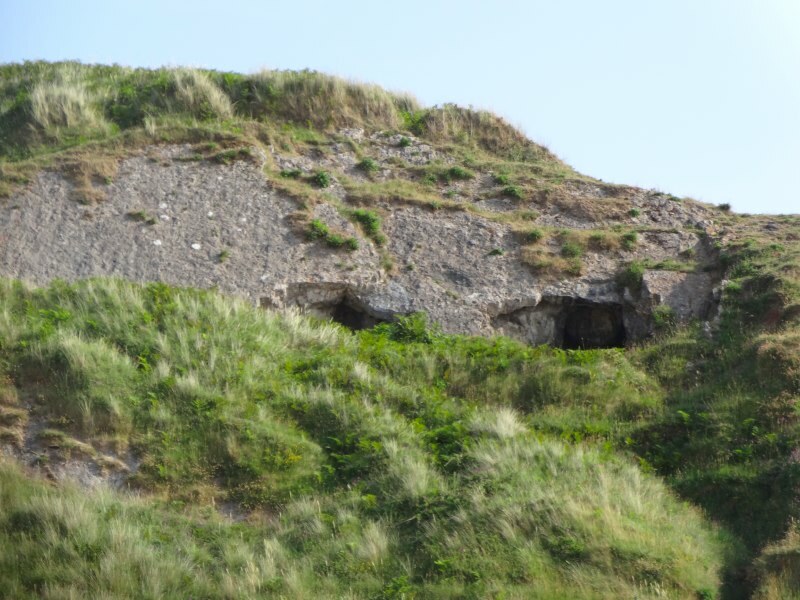 It was filled with sand nearly to the top, but, of course, the level of filling would change over time; however, it was also right against the cliffside, you could only stand one side of it, whereas the fissure we found could be walked past on either side. But after that nothing that even faintly resembled my memories. I could not understand, it was so clear in my mind and yet there was nothing that corresponded on the ground. I know I was small at the time, but my childhood memories are good and this is particularly vivid. Gradually the realisation dawned. 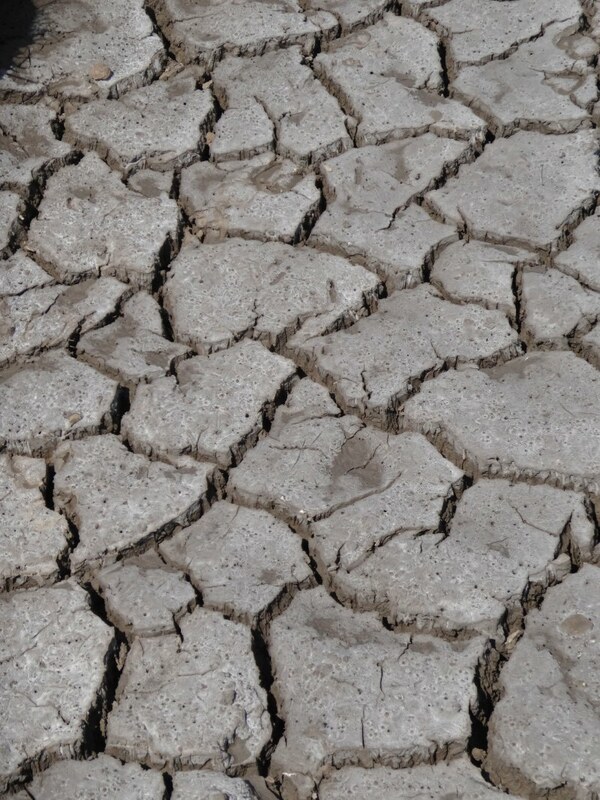 I had been here the best part of fifty years ago, and this is limestone. The place I was looking at then had already been heavily eroded, and in the intervening time the rock to the sea side of the fissure could well have fallen in and broken into boulders. I have lived geological time. Disappointed and feeling very old, I climbed up the cliff to walk across the clifftop burrows and then back down near the place called ‘Spanish Rocks‘, with a small island opposite, that, belatedly looking at the OS map, would have been worth a visit as it has various signs of old settlements including a ruined church. However, by now I was tired and so made my way along another mile of beach and up through the dunes to the Llangennith campsite, too late for food at the café there, so simply eating from a tin amid the sounds of the now full site with new vehicles still drawing in.